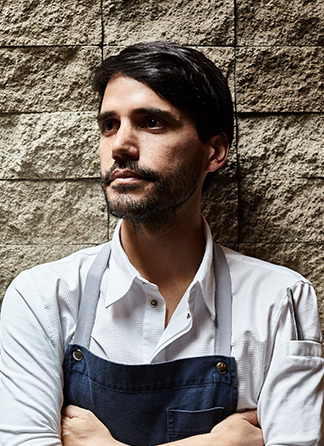 Chefs in South America has recently been attracting attentions from gastronomists around the world, and Virgilio Martinez is one of the noteworthy chefs in Peru among them. Martinez opened "Central" in Lima in Peru in 2009 and ranked at the fourth place in the World's Best Restaurants in 2015. Not in France, Italy, or New York, the fact that this small restaurant in South America achieved the historic accomplishment has astonished the world. The purpose of many people visiting Peru so far was to see Machu Picchu or Amazon, but now, it is said that "Central" has become one of the reasons for going to Peru. Martinez uses ingredients found locally in Peru and creates unique Peruvian cuisine through incorporating flavor and cooking methods of French, Japanese, Vietnamese, Italian, and Brazilian. 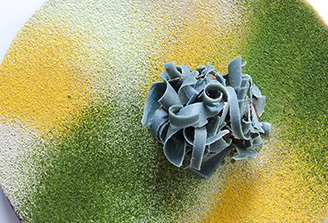 Out of his insatiable quest and passion for Peruvian ingredients, he created an interdisciplinary group of professionals composed of anthropologists, botanists, biologists, and philosophers and established a research institute of Peruvian cuisine culture. They travel throughout Peruvian jungles and alpines in search of unique ingredients such as the Andean grains, root vegetables, corns, potatoes, sea fish, and Amazon river fish. 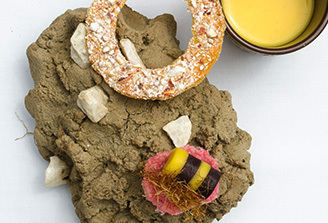 Martinez’s dish with those ingredients grown in the abundant nature reflect Peruvian landscapes and cultures of Peru.It keeps fascinating people especially those who have once experienced it. Originally, Martinez wanted to be a professional skateboarder and then learned law in a university before landed his journey of cooking. He jumped out of Peru and studied in Ottawa, Canada and Le Cordon Bleu in London. He worked with many chefs at Lutèce in Manhattan, Can Fabes in Catalonia, in Germany, and Singapore. 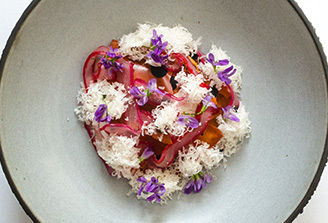 After working as executive chef at Astrid & Gaston in Peru, he opened "Central" in Lima in 2009. His wife, Pía León, who won the Latin America's Best Female Chef and opened her own restaurant, Kjolle, will also visit Japan with Martinez.